Handle patties carefully as they break easily. Soak 20-30 mins or until patties are moistened and fully reconsituted. If any hard spots are felt, soak 5-10 minutes longer. 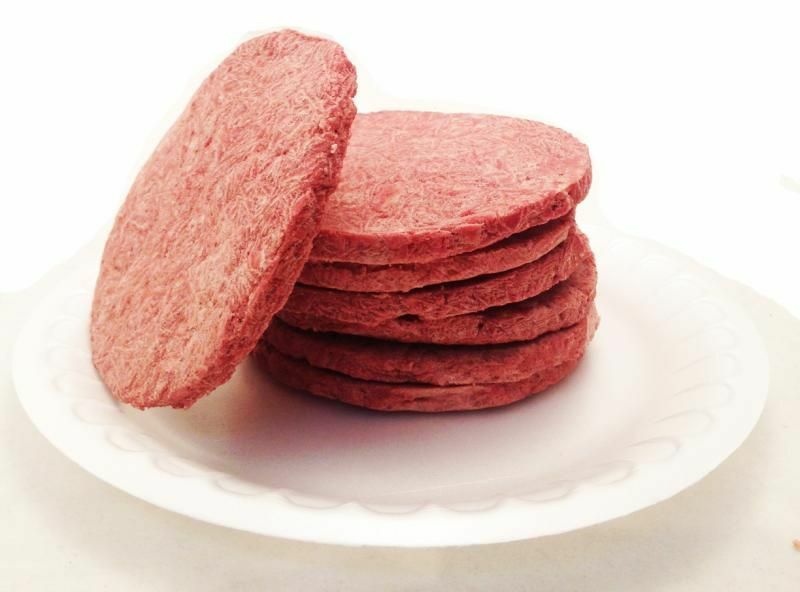 These Beef Patties are current production over-runs, Manufactured in January 2016, from a large military defense contractor. We just purchased a large lot of these direct from a Defense Reutilization Office (DRO) Source. Although actual use is always classified on these kinds of bids, our information is that these are purchased for Executive Branch use, not for our troops in the field. This is a shot of an actual can that we opened - it is untouched and exactly what you will see when you open one.